I’ve written a new piece for The Dictionary of Sydney on my favourite walk in the Blue Mountains, the path to Lockleys Pylon. It’s part of the lovely Blue Mountains Icons Project, which has been supported by Blue Mountains City of the Arts Grants and Varuna, the National Writers House. This project supported the writing of essays by John Low on Darwin’s Walk, Mark O’Flynn on Varuna, Julian Leatherdale on the Hydro Majestic and my dear friend Delia Falconer on Echo Point. It’s a privilege to be in company with such distinguished authors, and I’m looking forward to talking about the project with them and the City Historian, Dr Lisa Murray, at Varuna’s Writer’s Festival event on Monday 16 May. I wrote a p iece on Parramatta Girls Home in my last weeks as project editor at the Dictionary of Sydney, and it’s been published here. Parramatta Girls’ Home is only one of the institutions that has occupied the Parramatta Female Factory Precinct, but it was an incredibly important part of the landscape of child welfare and women’s history in New South Wales. One of the great pleasures of my time working on the Find & Connect web resource was getting to know Bonney Djuric, the mainstay of Parragirls, and learning about the Parramatta Female Factory Precinct Memory Project. This work is becoming ever more important as the site is a target for redevelopment. I’ve got three new pieces at the Dictionary of Sydney, on the children’s homes Bidura, Royleston, and Yarra Bay House. These were supported by the NSW Department of Environment and Heritage’s Aboriginal Heritage projects, for which I am very grateful. Thursday was a milestone for me, as it was my last official day with the Find & Connect web resource. 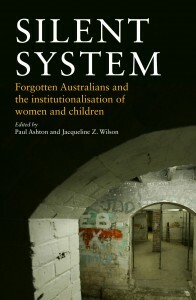 I was distracted from this sad moment by the Canberra launch of Silent System: Forgotten Australians and the institutionalisation of women and children, edited by Paul Ashton and Jacqueline Z Wilson and published just days ago by Australian Scholarly Publishing. I’m proud to say it contains an article by me, called ‘Tracing the Past: the Find & Connect web resource’, which sits amongst work by Shurlee Swain and Nell Musgrove, Lily Hibberd, Wilson and Ashton, Dolly McKinnon, Tracy Ireland, Denis Byrne, Maria Tumarkin and many other luminaries. The book explores women’s incarceration, sites of conscience, and memory. As I’ve noted previously on this blog, Silent System came about after a conference last September, that engaged with the Parramatta Female Factory Precinct and the women and children who lived at the site, under government supervision, from 1820 until the last decade of the 20th century. The site has, in stages, contained the Parramatta Female Factory, the Male Orphan School, the Roman Catholic Orphan School and, under various names, the Girls Industrial School. It contains ancient buildings and a lot of hard-lived history, and has been the focus of a ten-year campaign by Bonney Djuric, founder of Parragirls, for public recognition of the critical heritage values of the site and its value as a Site of Conscience. As it turned out, on the day of the launch the NSW Premier announced that the Parramatta Female Factory Precinct [North Parramatta Heritage Precinct] will be sensitively redeveloped as a cultural heritage precinct. This is a huge achievement for Bonney, and for a number of key groups in the area. One of the best things about working on the Find & Connect web resource was engaging with committed stakeholders and advocates like Bonney. I’m very much hoping to maintain my involvement, into the future. This is the first official post of this blog, so welcome and hello. I thought I would start with some news, so here ’tis. 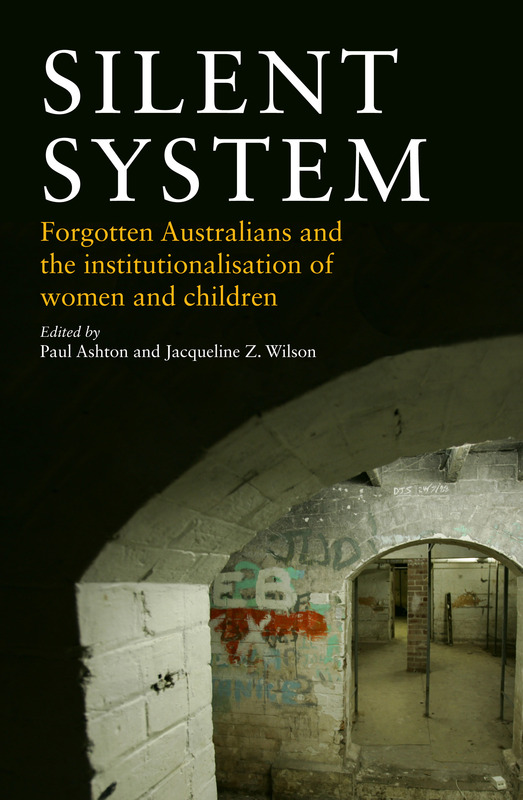 This week I am heading to Canberra for the launch of Silent System: Forgotten Australians and the Institutionalisation of Women and Children, which is edited by Paul Ashton and Jacqueline Z Wilson and is being published by Australian Scholarly Publishing this month. It features an article I wrote called ‘Tracing the Past: the Find & Connect web resource’. The book is the result of a symposium held last year at the University of Technology, Sydney, which was hosted by Transforming Cultures and the Parramatta Female Factory Precinct Memory Project, an offshoot of the remarkable work of Parragirls, and of Bonny Djuric. Over two days, a diverse group of scholars and artists talked about memory, museums and history, while exploring the Parramatta Female Factory site and the stories of the convict women and Forgotten Australians who lived there, under the strictest of government controls. I began my involvement with Parragirls when I joined the Find & Connect web resource in 2011, but I had learned about the Parramatta Girls Home in the 1990s, when I was beginning my studies into child welfare history for my PhD. The institution began in 1887, when girls under sentence for petty crimes or being ‘neglected’ were moved from the Biloela Industrial School to the buildings formerly occupied by the Roman Catholic Orphan School. The new institution, Parramatta Girls’ Industrial School, survived in various forms on the same site until 1983, and more than 10,000 girls passed through its doors. The Parragirls website is a powerful guide to this place, that brings together all the usages of the site from the 1820s until after 2000, and you should read it at once. It’s been a great honour and privilege to meet Bonnie Djuric and Parragirls, and to become acquainted with the work of the Parramatta Female Factory Memory Project, and that of artist Lily Hibberd. It’s fabulous that so many fine scholars have engaged with this site to produce the articles that feature in this book and although I have a mad week of busy ahead, I’m looking forward to this launch immensely. It will be bittersweet, as it takes place on the last day of my contract with the Australian Catholic University, and marks a pause in my work with the Find & Connect web resource. But it’s a good way to go out, celebrating the work of recovery and recognition, and the movement of these formerly hidden and private stories into the scholarly domain. This photo dates from the early-mid 1970s. It appeared in Esther Han’s Herald Sun article of 4 November 2012, ‘Female Factory Tales to be Told.’ It was captioned ‘”Inmates” of the Parramatta Girls Home. Photo: Jeffrey Smith’, but was most probably taken by a Government Printing Office photographer, to promote Kamballa, the institution that succeeded Parramatta Girls’ Home. I assume the girls’ eyes were blacked out by Mr Smith.